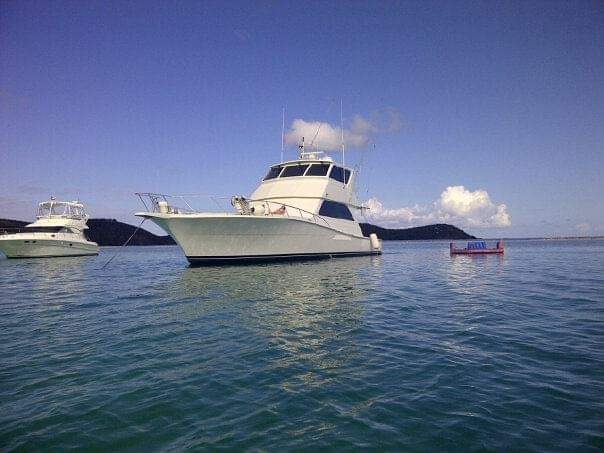 Maritere has been a wonderful boat. She has been painted top to bottom including upgraded electronics with new Mezzanine Style Cockpit Seating. 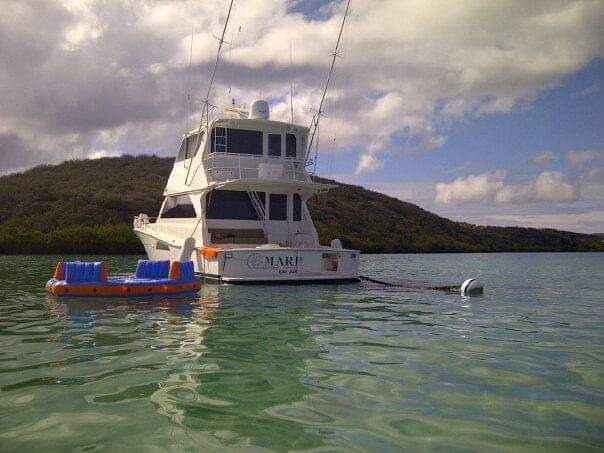 One-owner have constantly updated and upgraded this vessel and it shows throughout. The unique 4 stateroom/3 head layout is very well thought out and the interior volume is huge! Her interior has always been taken care of with several updates over the years and in excellent condition. Never used it to fishing it. 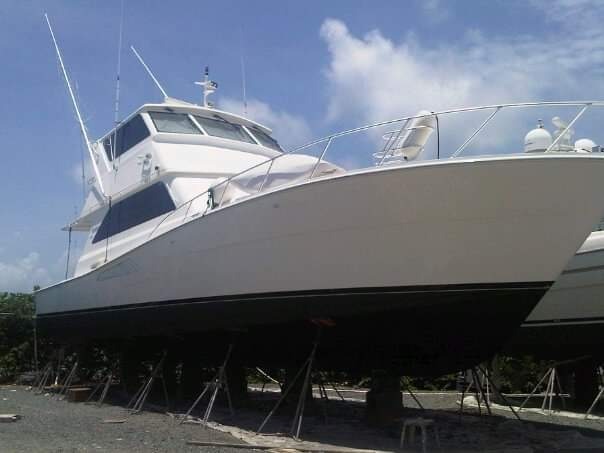 With all of the updates and painted hull this boat is the finest 58’ in the market and is truly turnkey and ready to go!! Power by twin Caterpillar 3412 Marine Engine. One-owner has kept impeccable maintenance records. Don’t miss this opportunity. Specs Flag of Registry: United States Hull Shape: Maritere Dimensions LOA: 58 ft 0 in Beam: 18 ft 0 in Length on Deck: 5 ft 0 in Minimum Draft: 5 ft 0 in Maximum Draft: 6 ft 0 in Engines Total Power: 2700 HP Engine 1: Engine Brand: CATERPILLAR Year Built: 1999 Engine Model: CAT 3412 Engine Type: Inboard Engine/Fuel Type: Diesel Location: Port Engine Hours: 1500 hrs Drive Type: Direct Drive Engine Power: 1350 HP Engine 2: Engine Brand: CATERPILLAR Year Built: 1200 hrs Engine Model: CAT 3412 Engine Type: Inboard Engine/Fuel Type: Diesel Location: Starboard Engine Hours: 1500 hrs Drive Type: Direct Drive Engine Power: 1350 HP Cruising Speed: 28 knots @ 1800 RPM Maximum Speed: 36 knots Tanks Fresh Water Tanks: 1 (275 Gallons) Fuel Tanks: 2 (1500 Gallons) Holding Tanks: 1 Accommodations Number of single berths: 4 Number of double berths: 2 Number of cabins: 4 Number of heads: 3 ElectronicsBLU/DVD player CD player Cockpit speakersSatellite TV Antenna GPS Compass Depthsounder Log-speedometer Autopilot VHF Radio TV set Radar Plotter Inside/Outside Equipment Refrigerator Electric bilge pump Battery charger Washing machine Sea water pump Air conditioning Bow thruster Electric head Deep freezer 2 Microwave oven Fresh water maker Eskimo Ice Chipper Electrical Equipment 2 Generator Shore power inlet Electrical Circuit: 24V If you need more information, don’t hesitate to contact us at any time. Thank you!! !